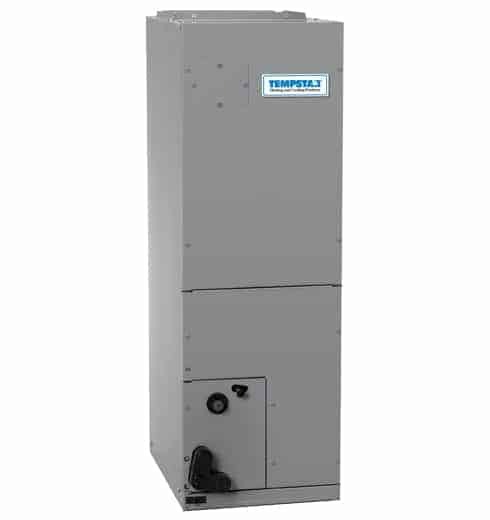 Tempstar QuietComfort® Fan Coil FVM4X | A/C Repairs Inc. Smooth, even air flow from the variable speed blower, capable of boosting your SEER when paired with a matching heat pump or air conditioner. Add an optional built-in dehumidifier or air purifier for enhanced comfort throughout your home. All-aluminum coils, a corrosion-free sloped drain pan and a convenient washable filter mean years of carefree operation. The QuietComfort FVM4X delivers lasting performance, energy efficiency and quiet operation for maximum comfort. The QuietComfort® variable speed fan provides smooth, efficient air flow. Built-in compatibility for air purifier or dehumidifier.